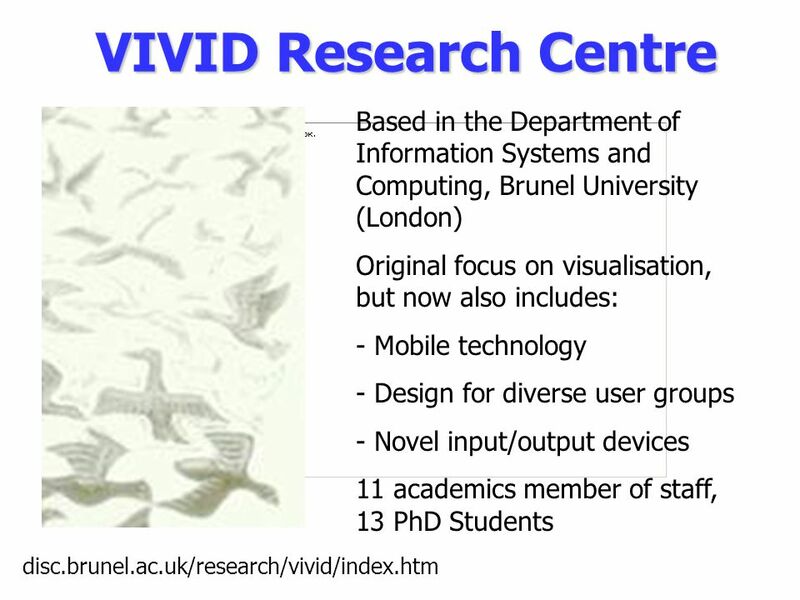 Making sense out of recorded user-system interaction Dr Willem-Paul Brinkman Lecturer Department of Information Systems and Computing Brunel University. 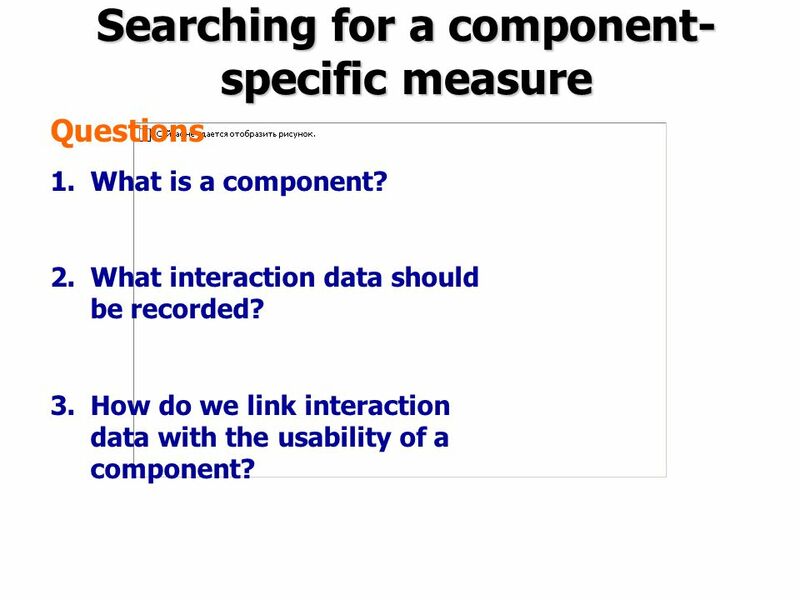 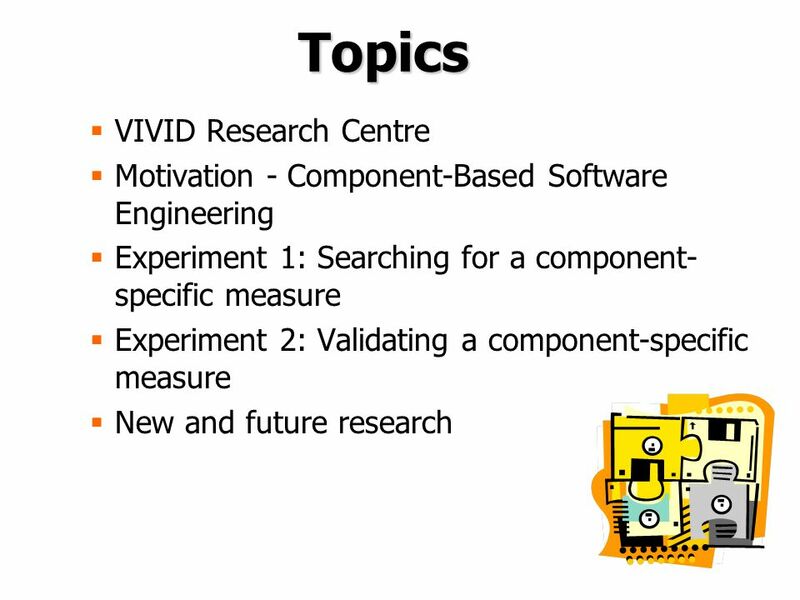 8 Searching for a component- specific measure Questions 1.What is a component? 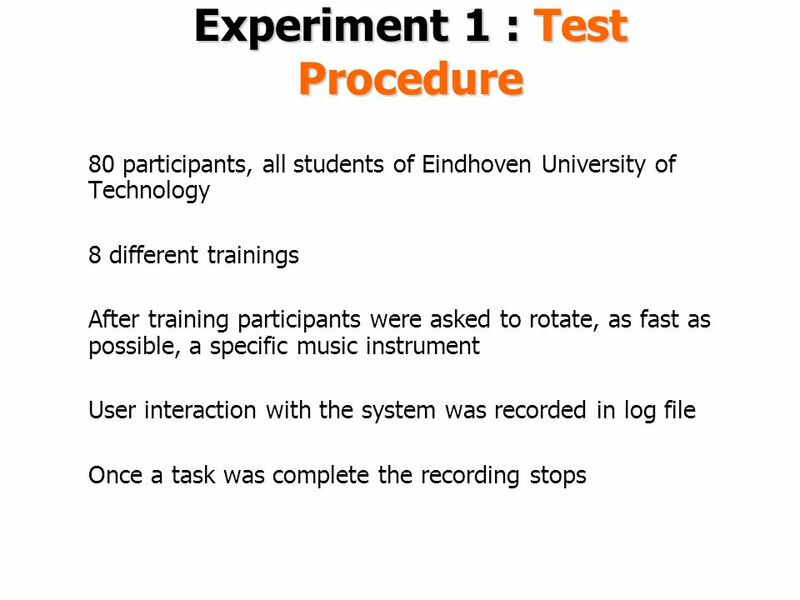 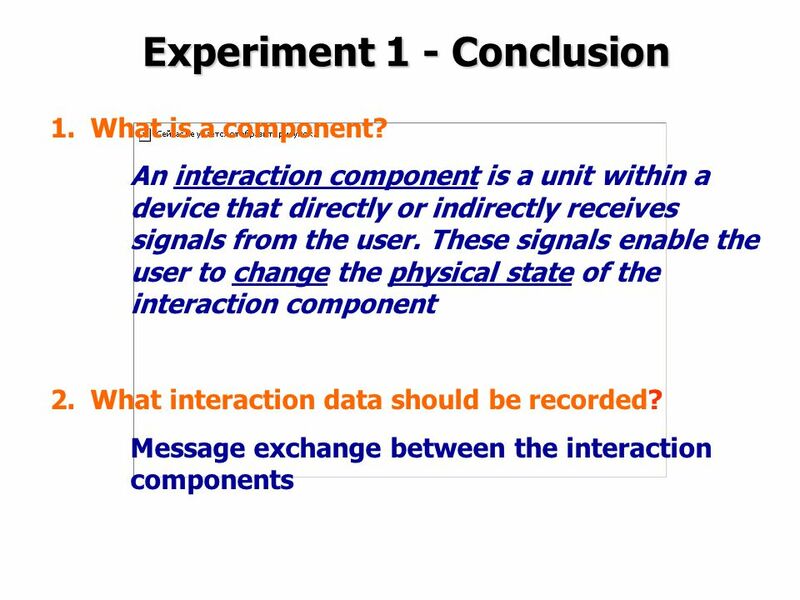 2.What interaction data should be recorded? 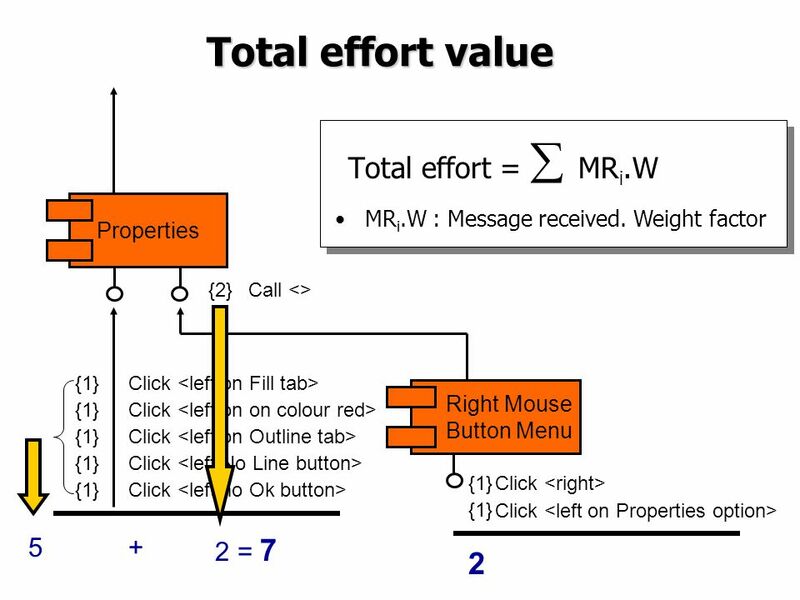 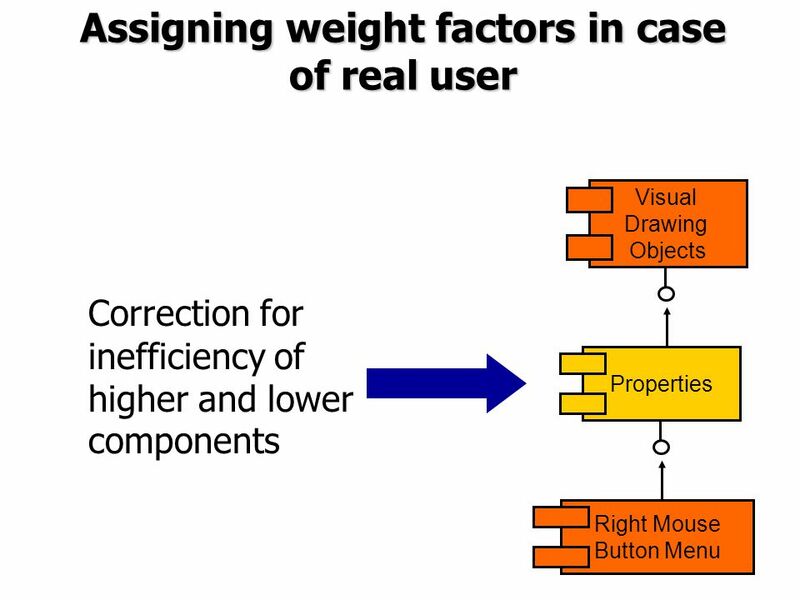 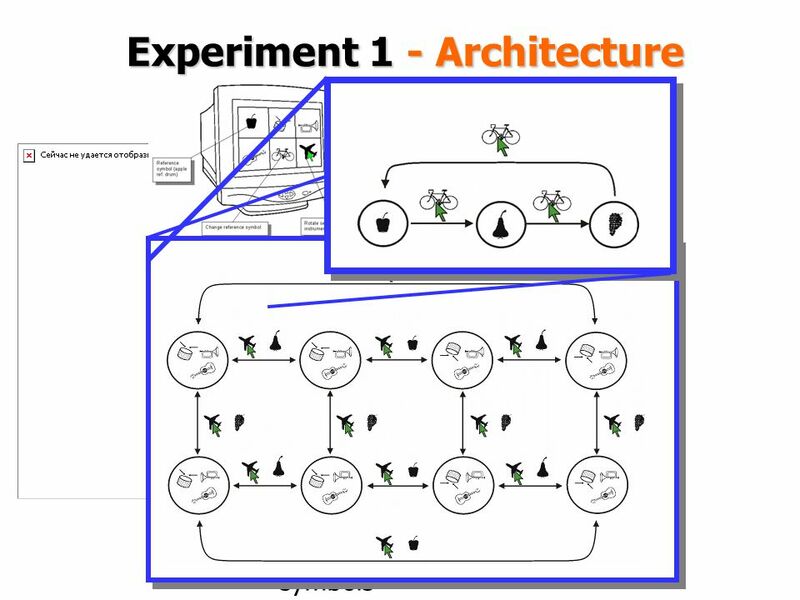 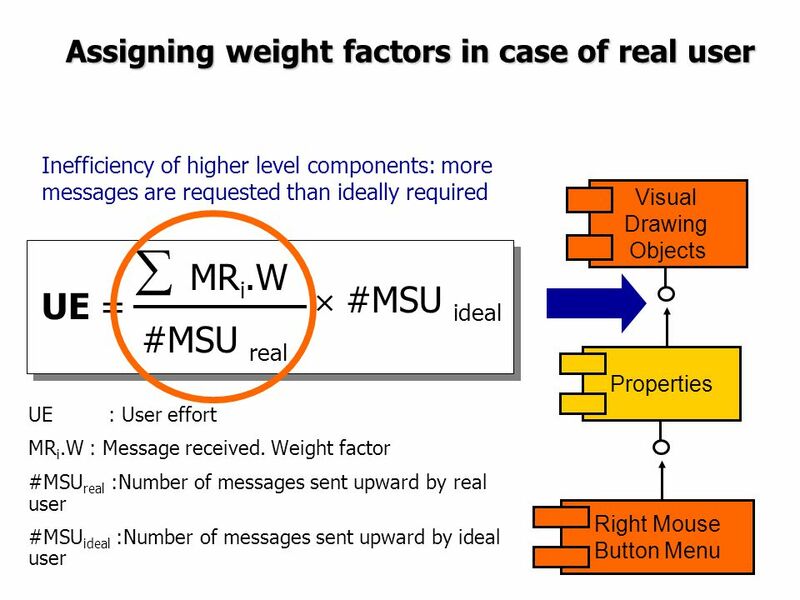 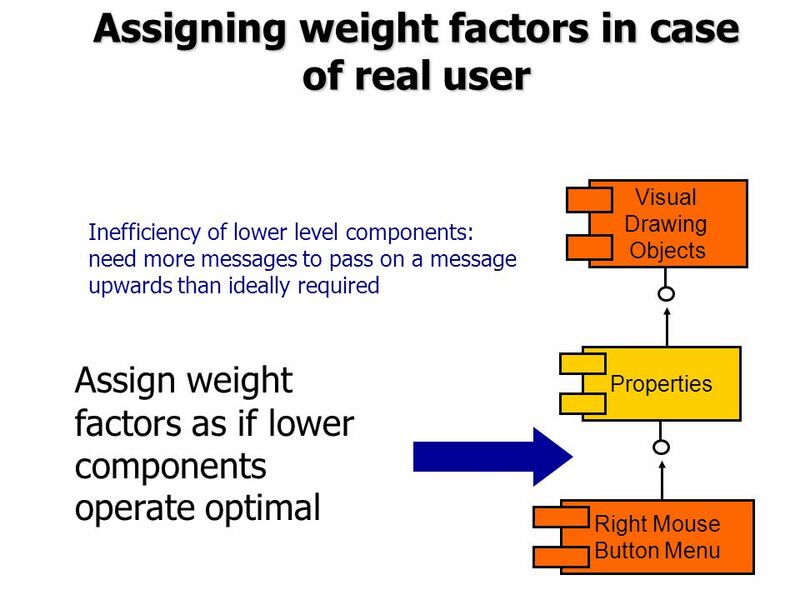 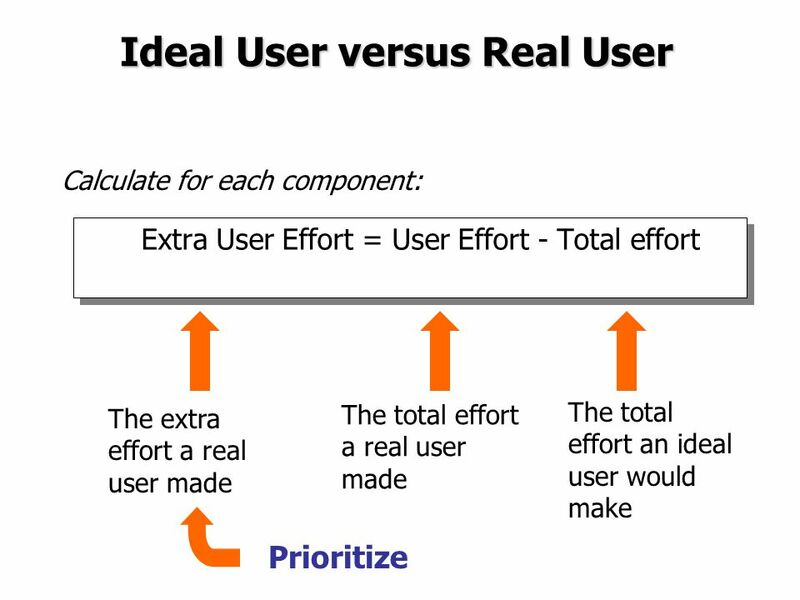 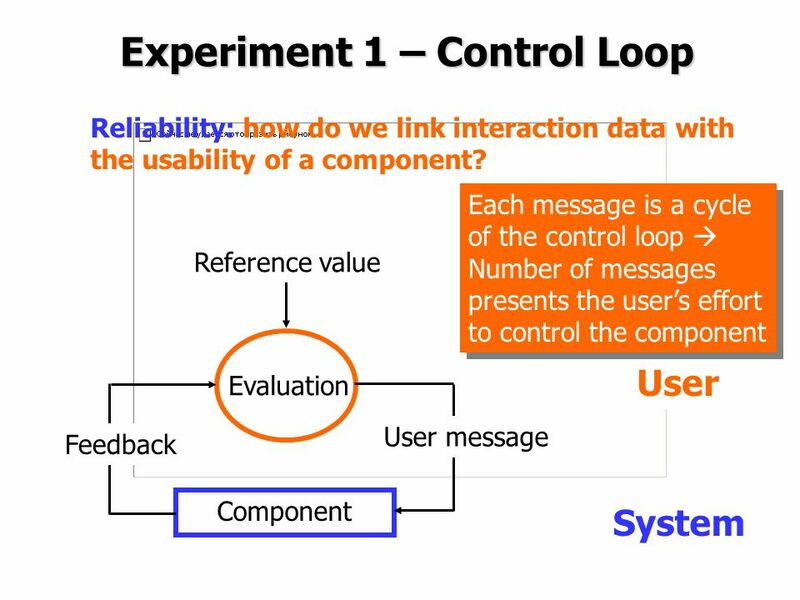 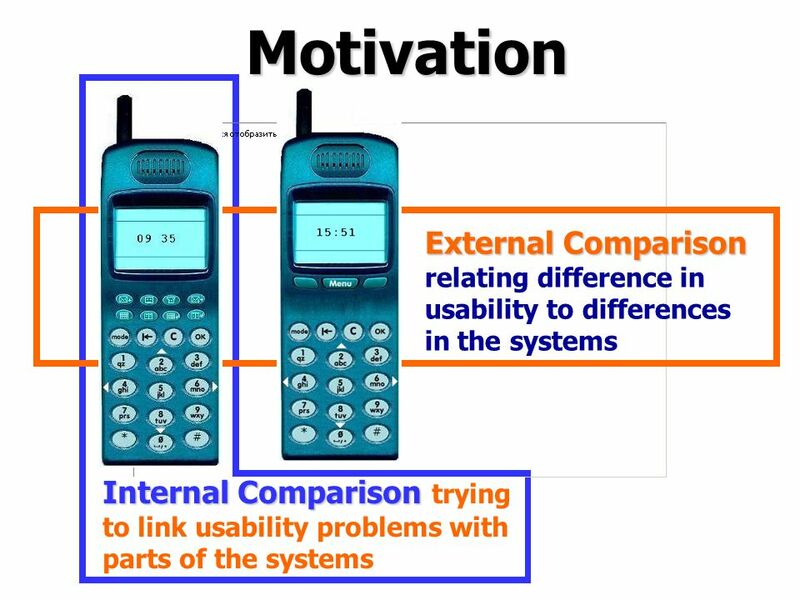 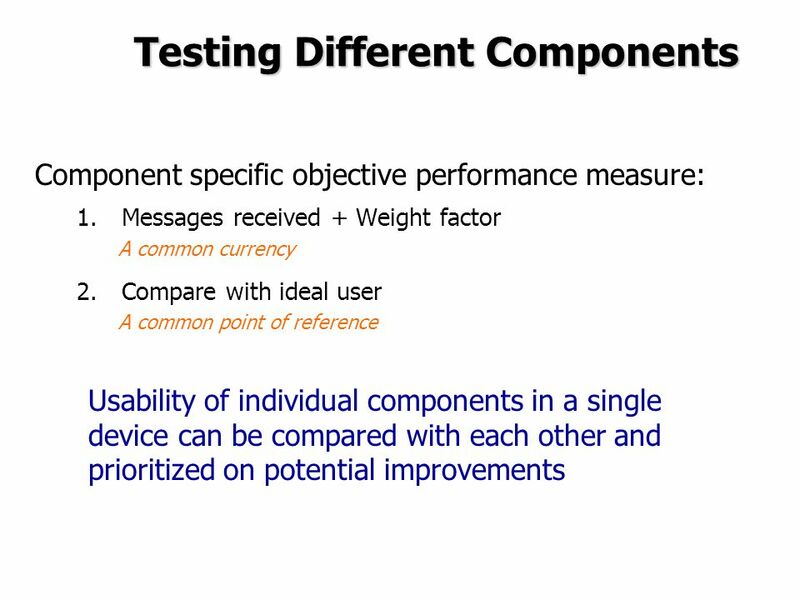 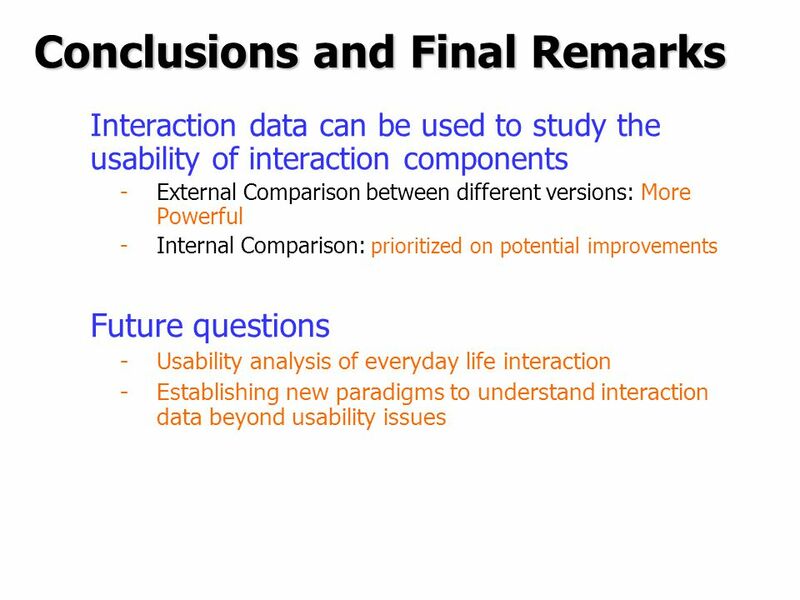 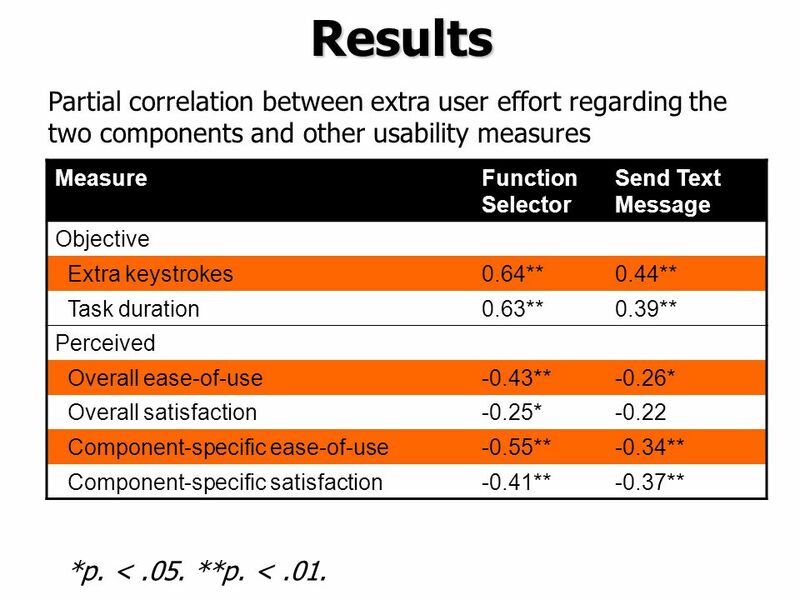 3.How do we link interaction data with the usability of a component? 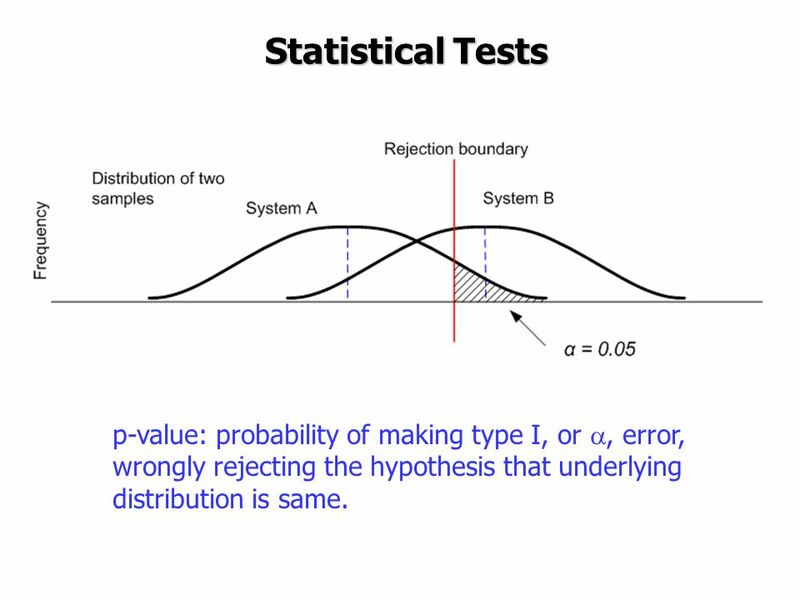 25 Statistical Tests p-value: probability of making type I, or , error, wrongly rejecting the hypothesis that underlying distribution is same. 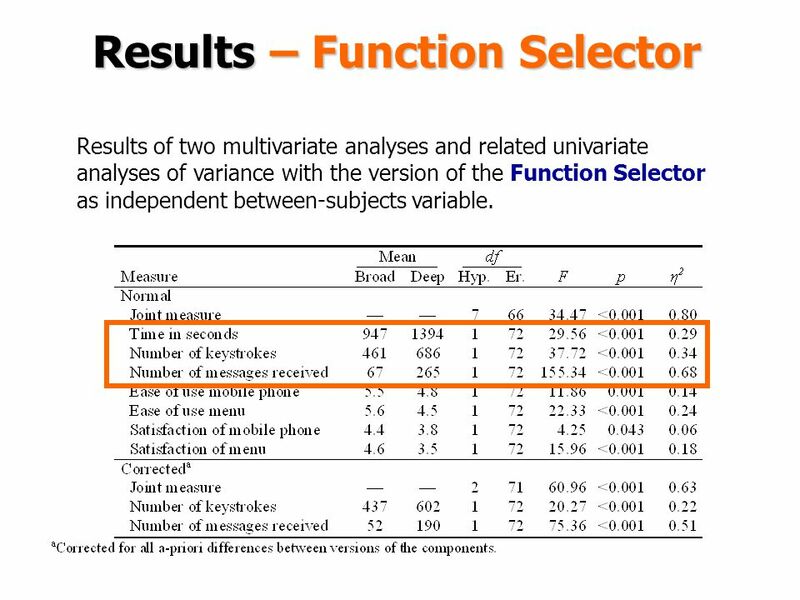 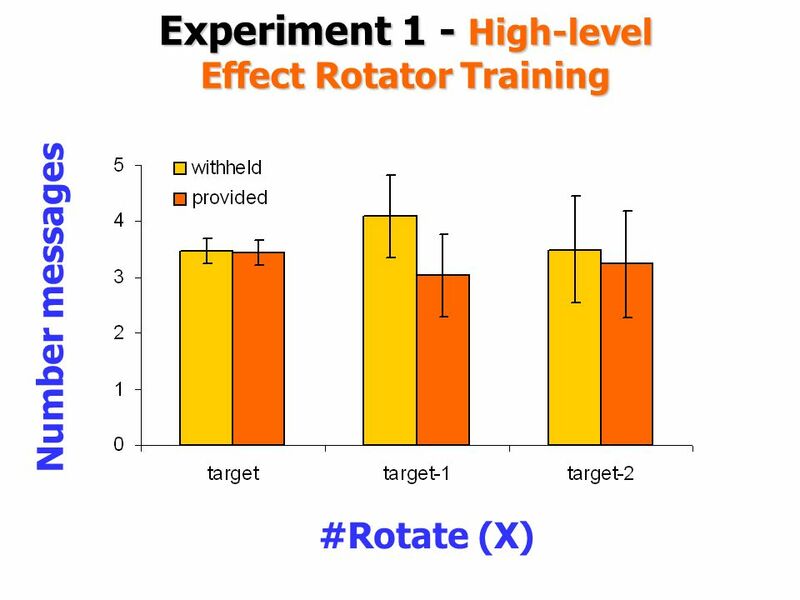 26 Results – Function Selector Results of two multivariate analyses and related univariate analyses of variance with the version of the Function Selector as independent between-subjects variable. 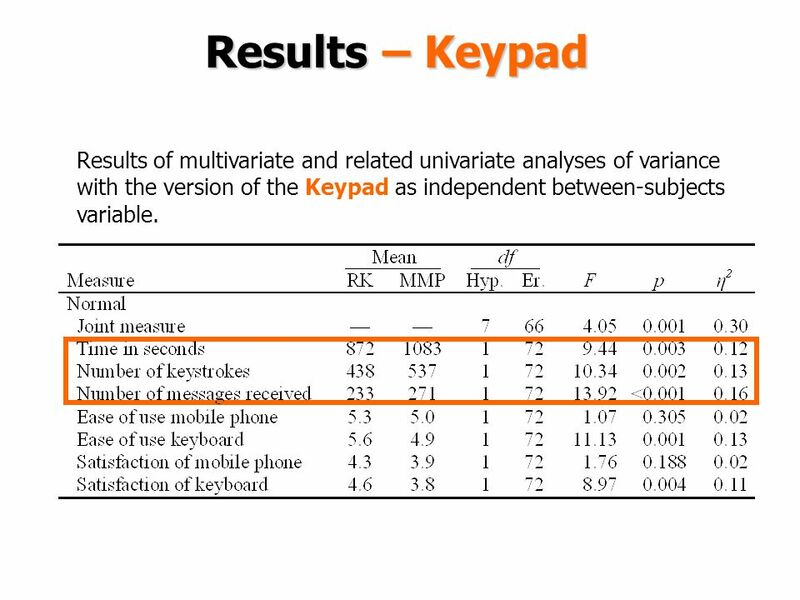 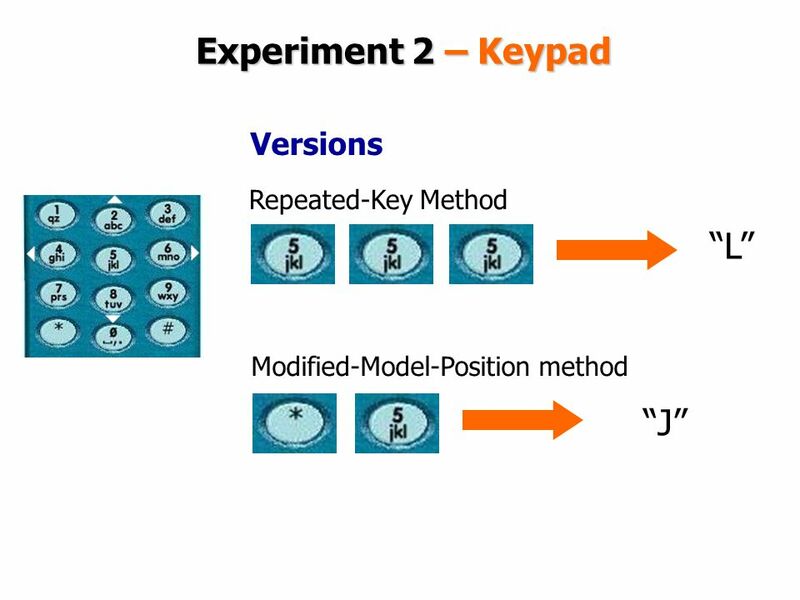 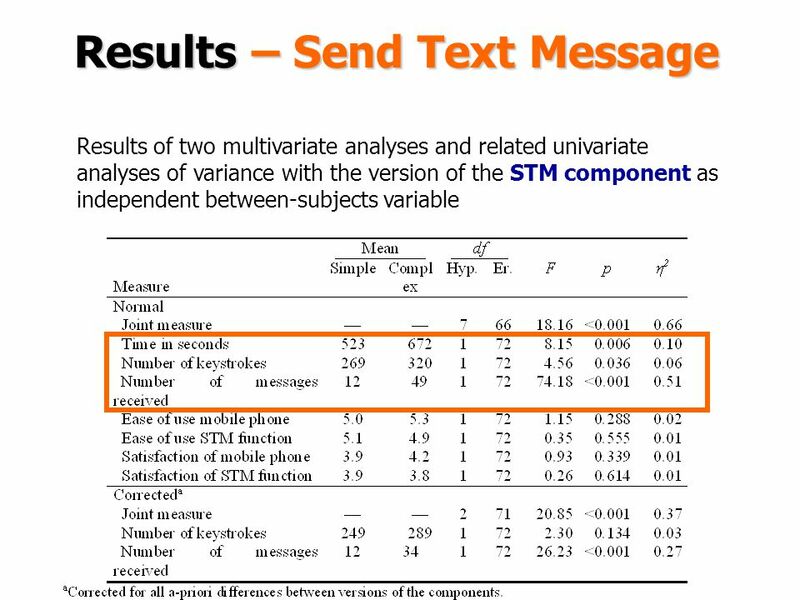 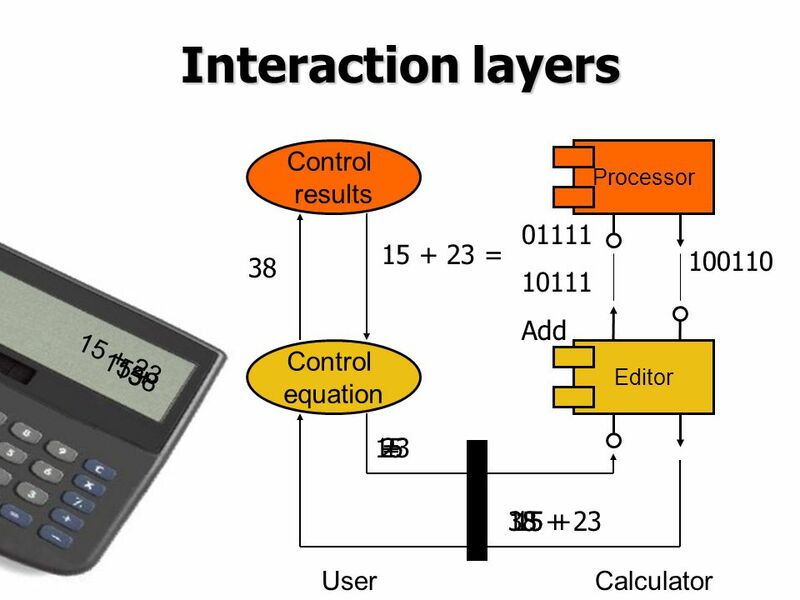 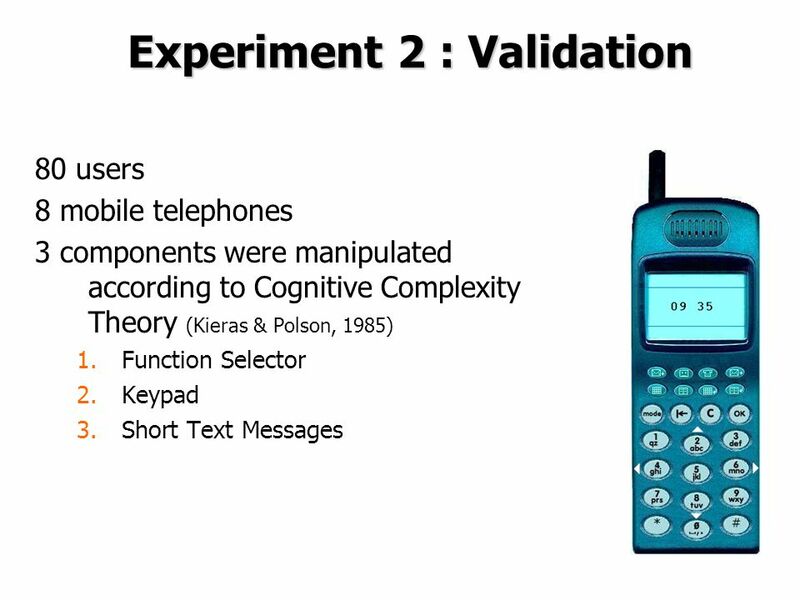 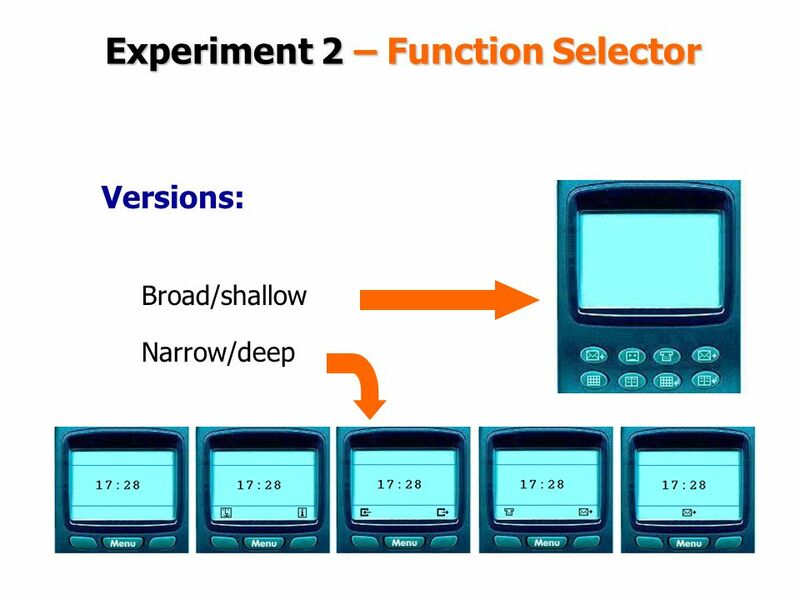 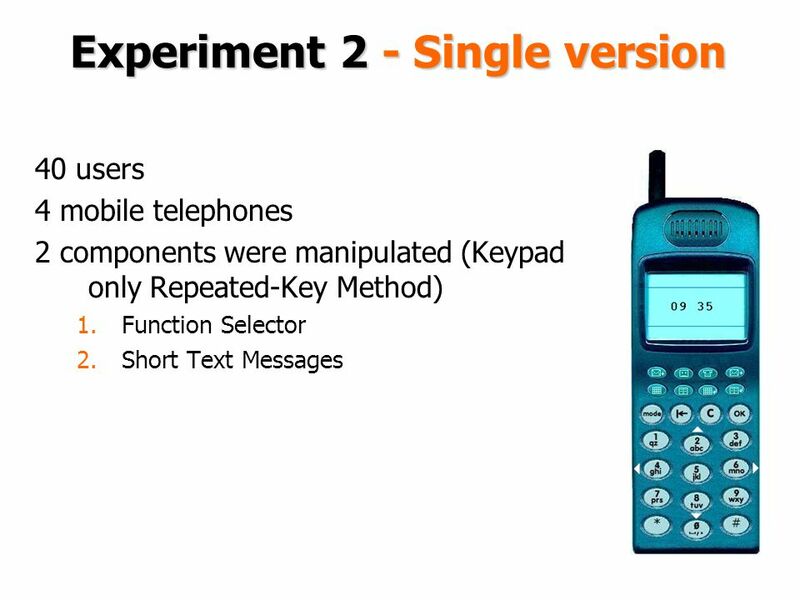 27 Results – Keypad Results of multivariate and related univariate analyses of variance with the version of the Keypad as independent between-subjects variable. 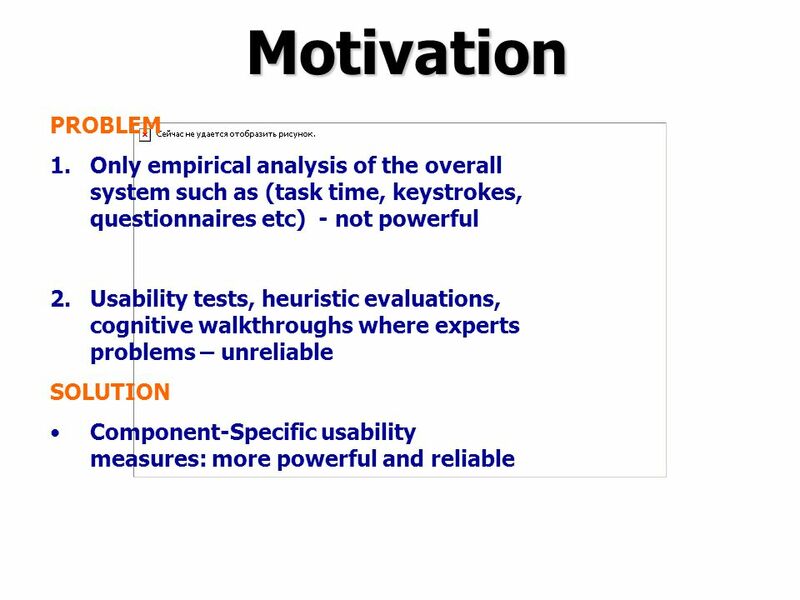 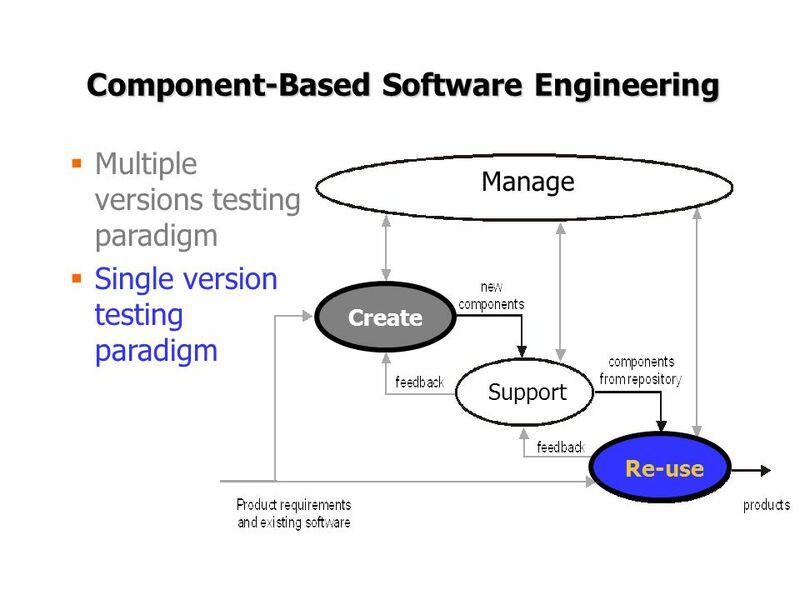 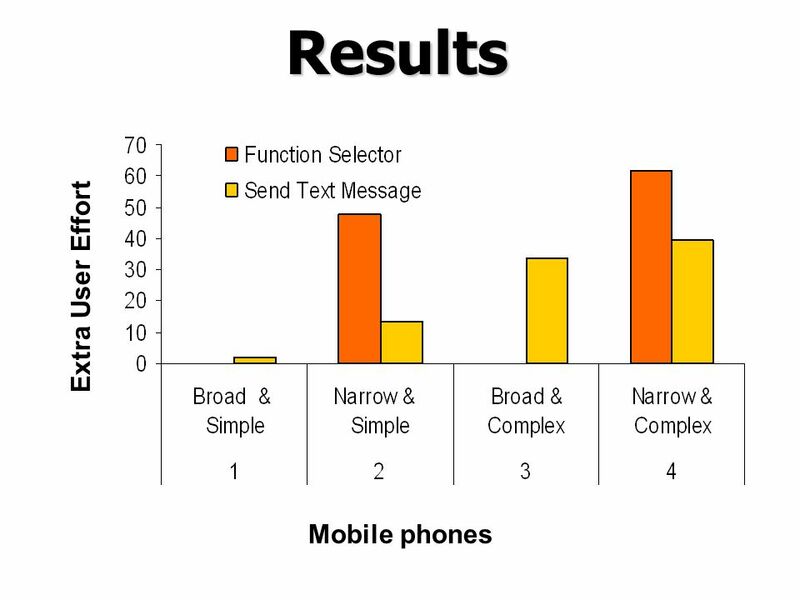 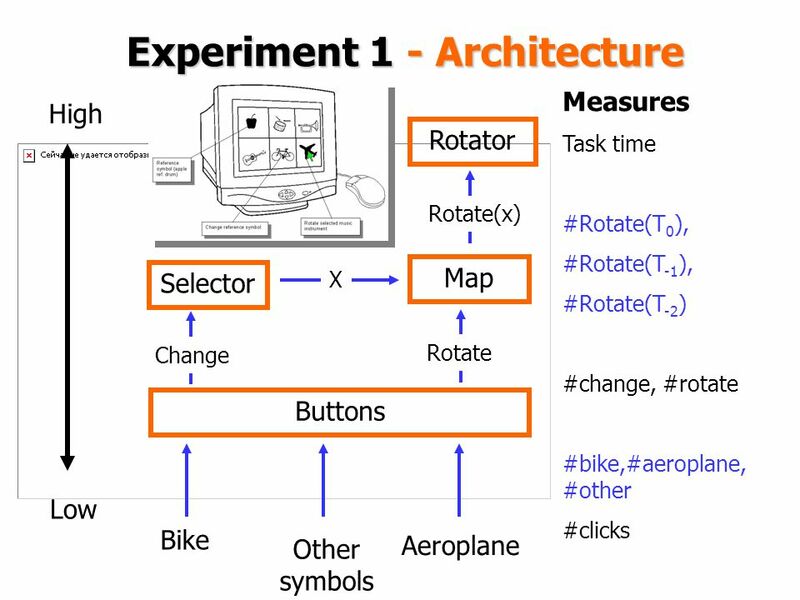 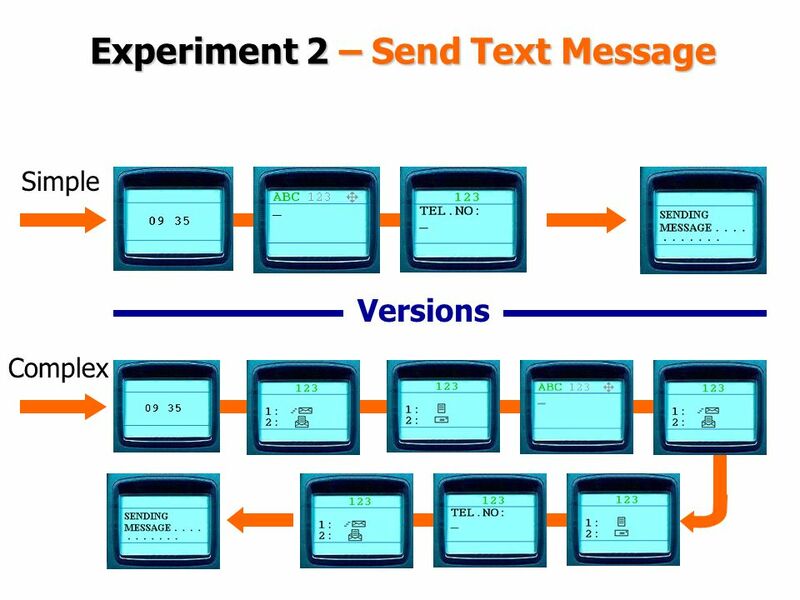 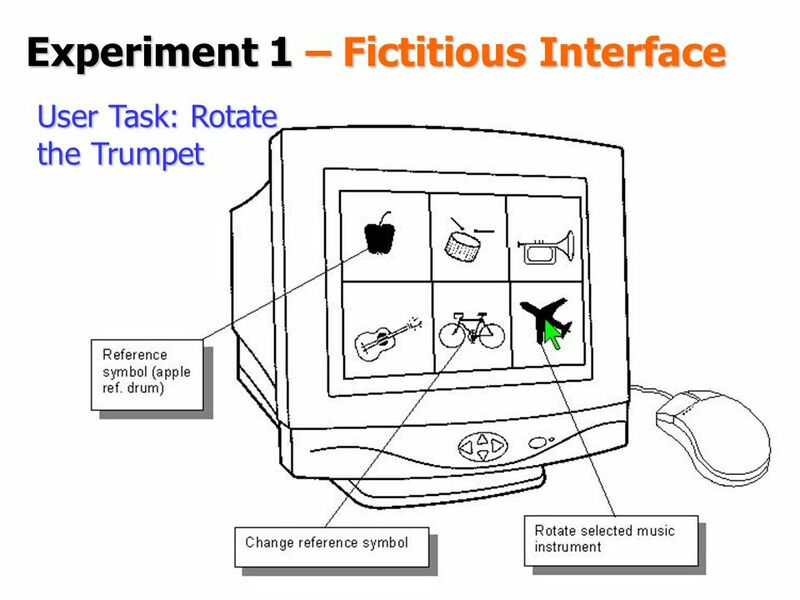 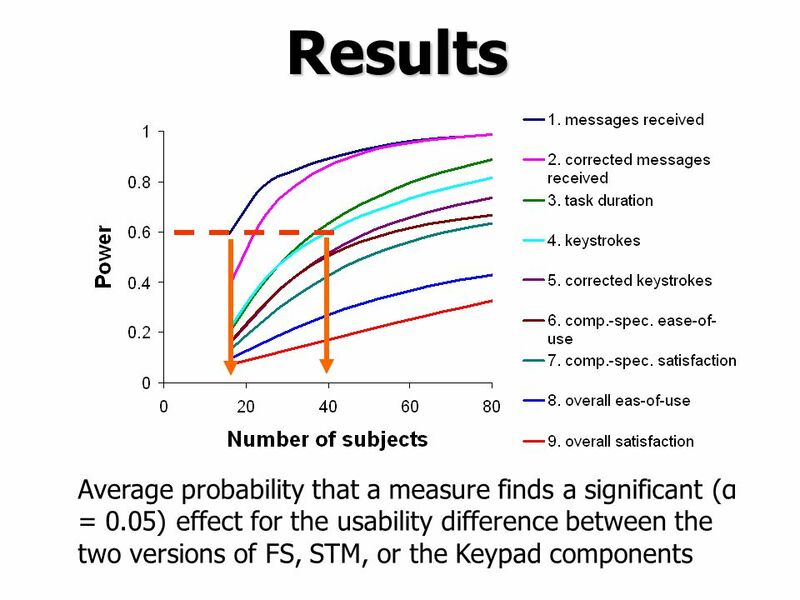 41 Results MeasureFunction Selector Send Text Message Objective Extra keystrokes0.64**0.44** Task duration0.63**0.39** Perceived Overall ease-of-use-0.43**-0.26* Overall satisfaction-0.25*-0.22 Component-specific ease-of-use-0.55**-0.34** Component-specific satisfaction-0.41**-0.37** Partial correlation between extra user effort regarding the two components and other usability measures *p. <.05. 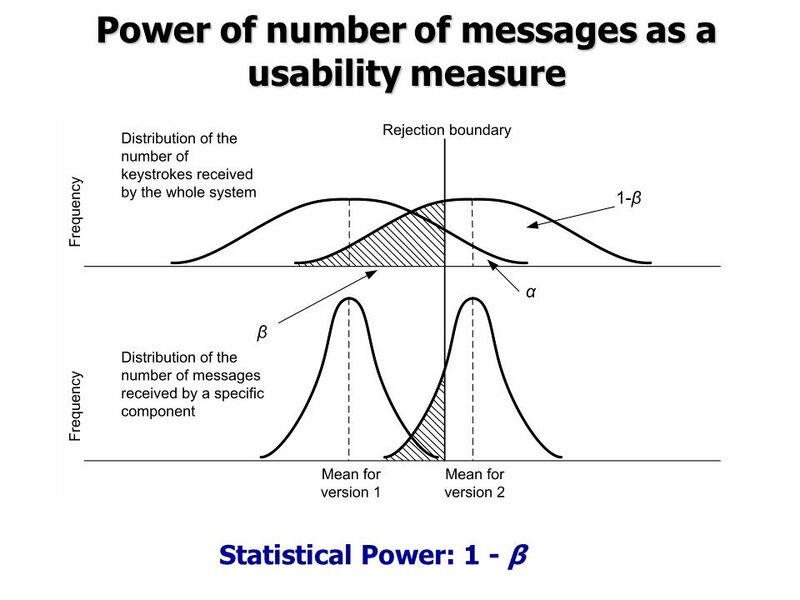 **p. <.01. 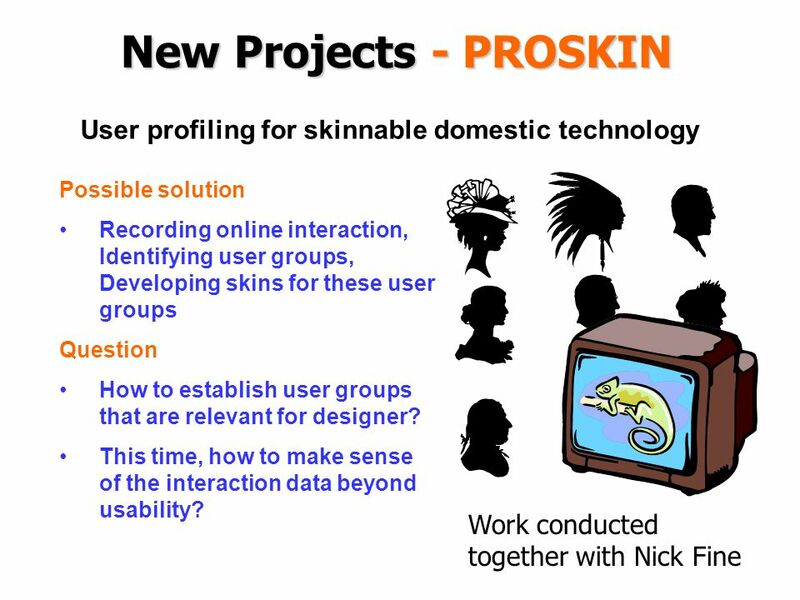 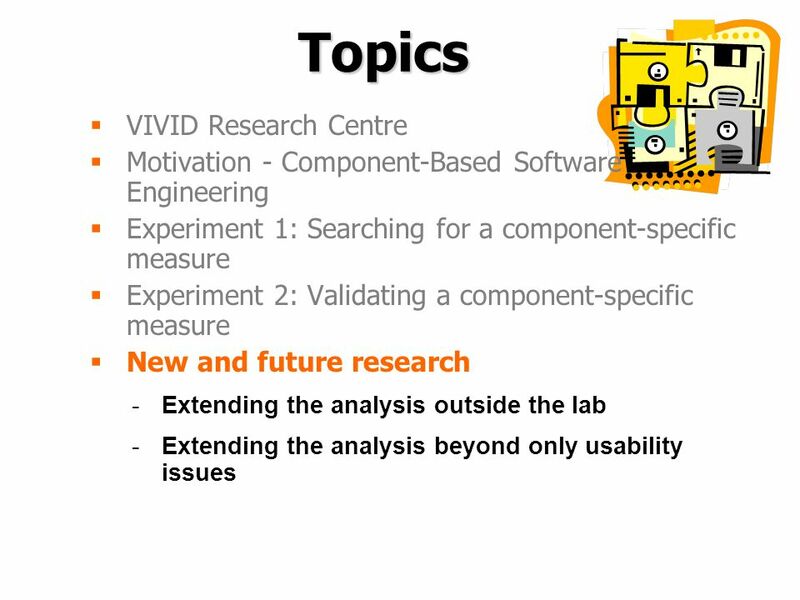 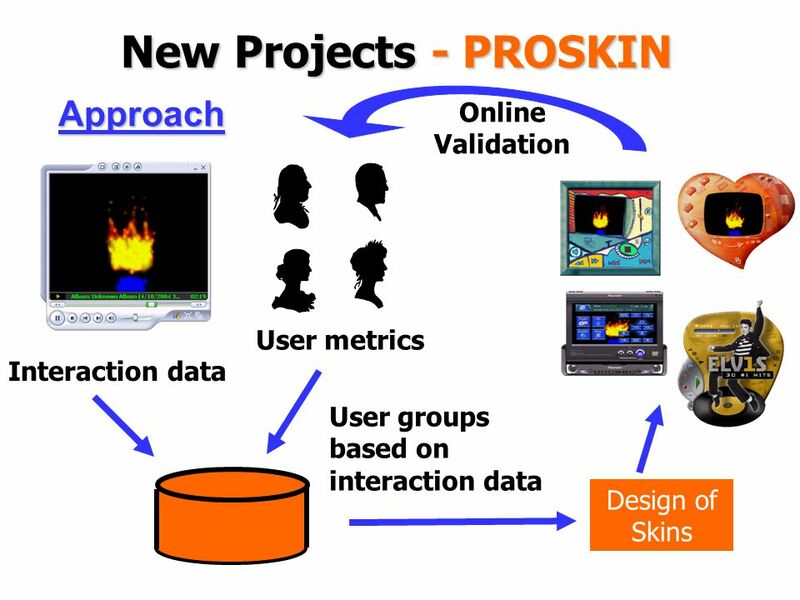 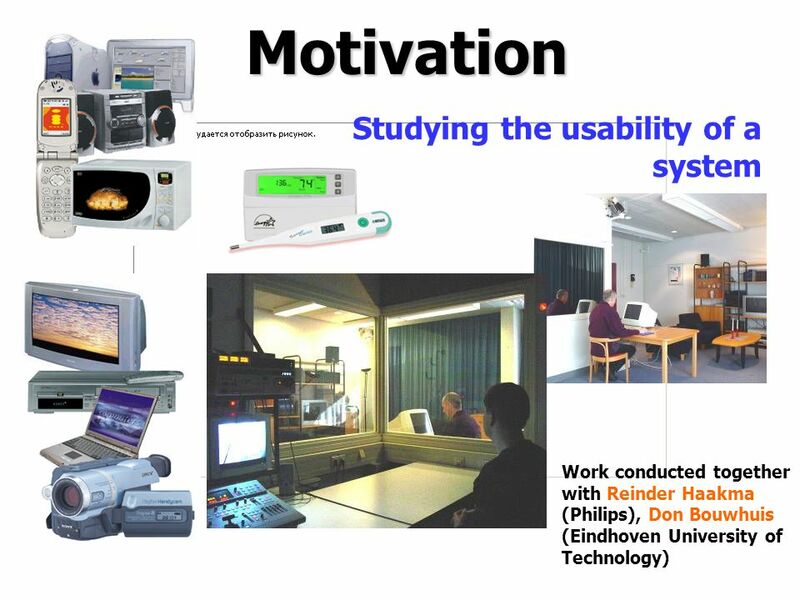 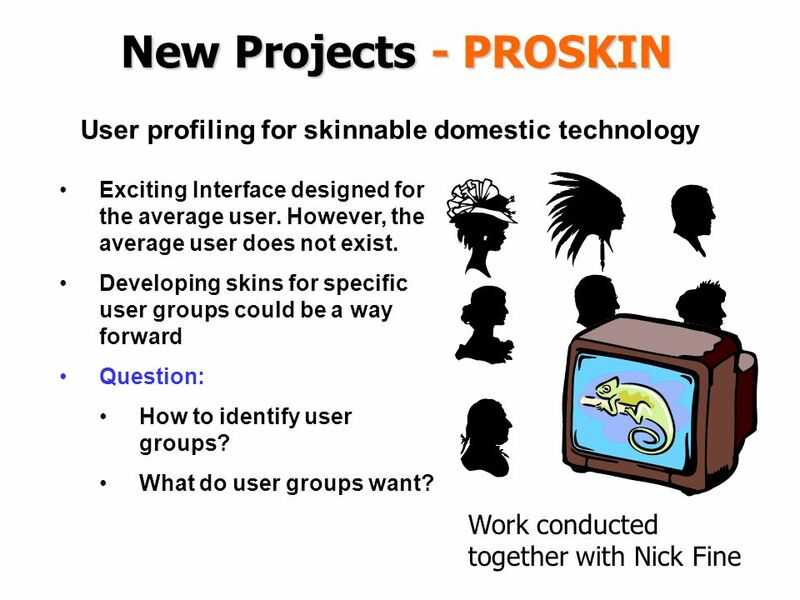 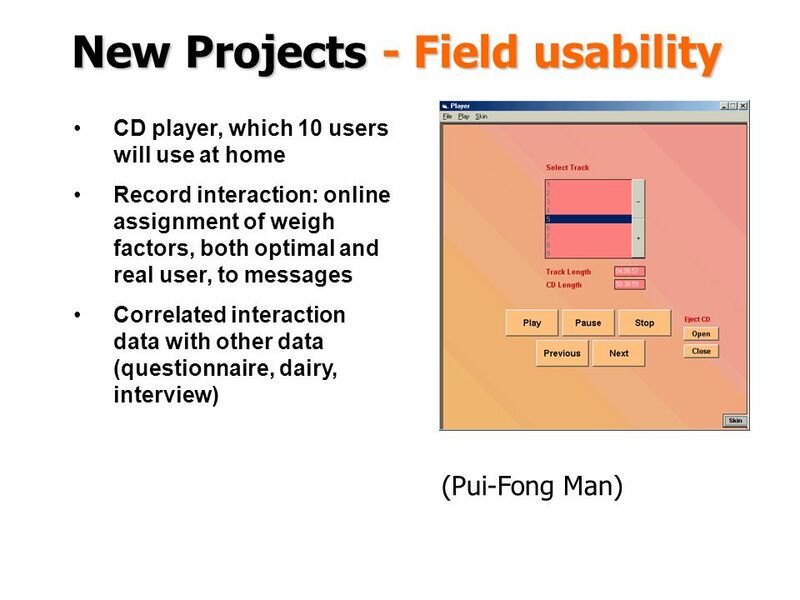 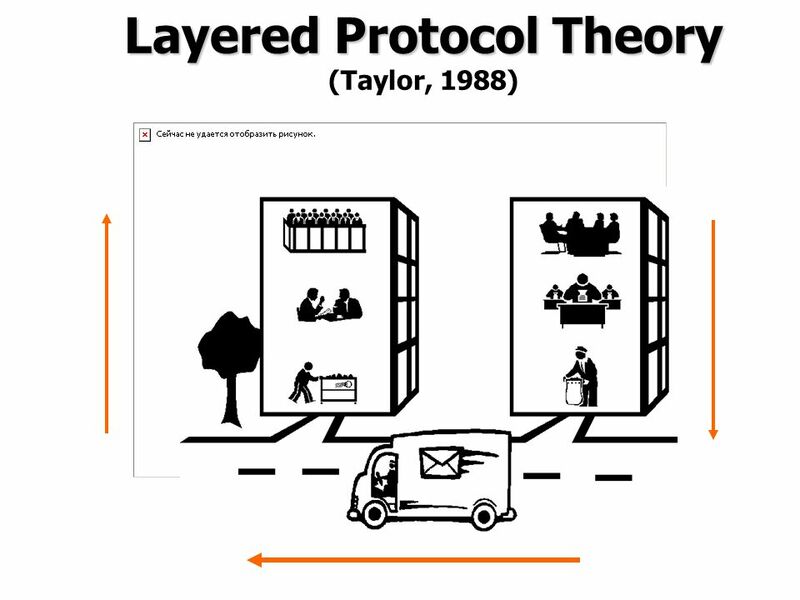 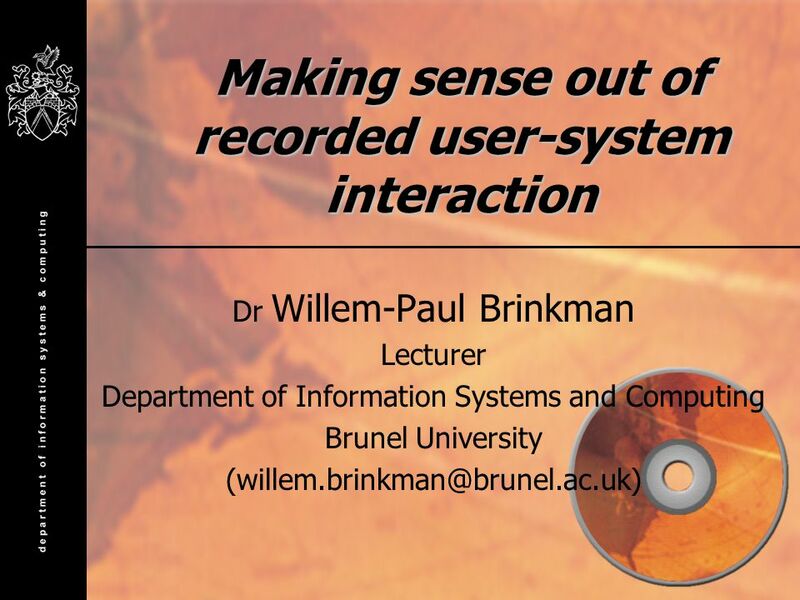 Download ppt "Making sense out of recorded user-system interaction Dr Willem-Paul Brinkman Lecturer Department of Information Systems and Computing Brunel University." 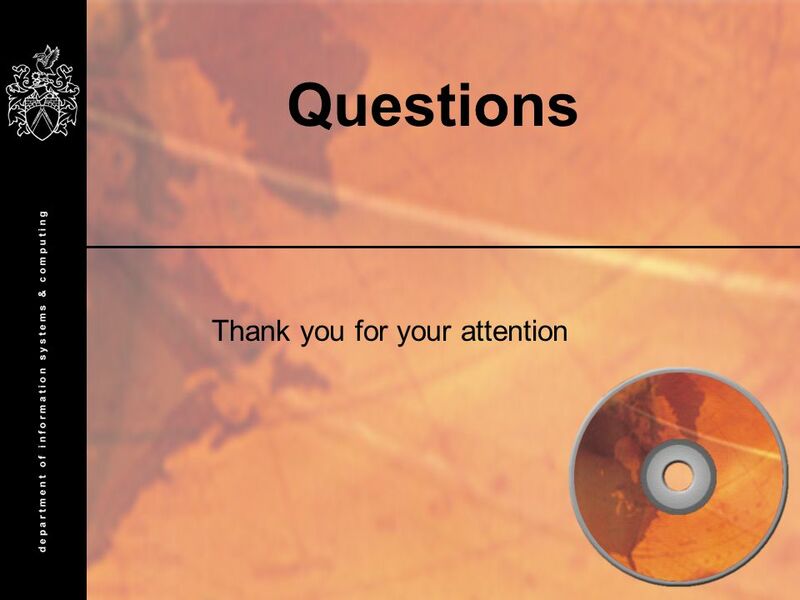 Talisma CRM© Interactions Proprietary and Confidential. 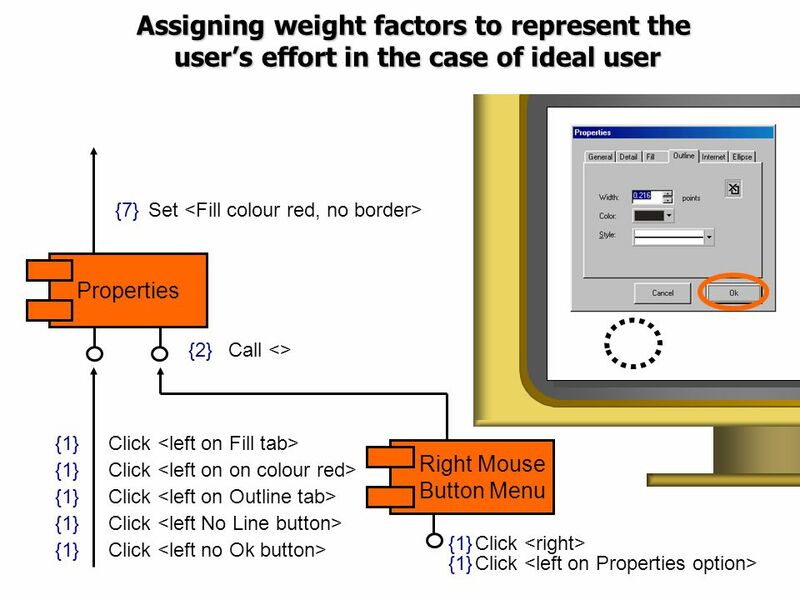 © Telcordia Technologies 2004 – All Rights Reserved AETG Web Service Advanced Features AETG is a service mark of Telcordia Technologies. 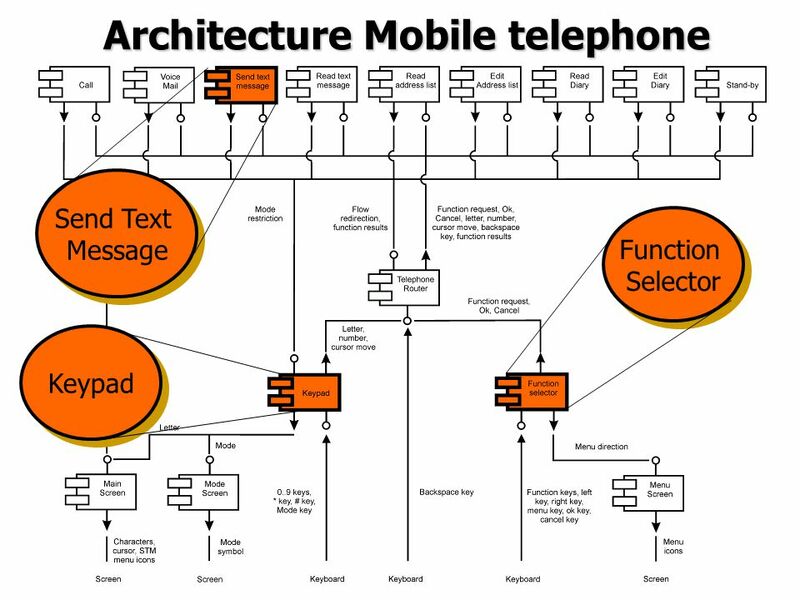 Telcordia Technologies.